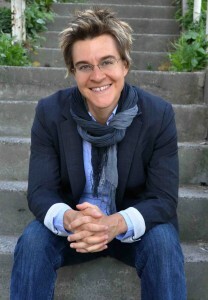 Erica Chenoweth studies political violence and non-violent resistance. Her research indicates that nonviolent campaigns have been more successful than armed campaigns and that movements are effective when they (1) attract widespread and diverse participation; (2) develop a strategy that allows them to maneuver around repression; and (3) provoke defections, loyalty shifts, or disobedience among regime elites and/or security forces. Her TED talk and an interview. Over the last year and a half, an historic wave of uprisings and revolutions has engulfed much of the world and done more to legitimize the power of nonviolence than anything since the fall of the Soviet Union. Just as Tunisians kicked off this global nonviolent upheaval, Erica Chenoweth and Maria Stephan were putting the finishing touches on their recent book Why Civil Resistance Works, which is a must read for anyone interested in the dynamics behind these movements’ successes and failures.Rather than relying solely on case studies and anecdotal evidence to make a case for the power and potential of nonviolent action, they systematically cataloged as many violent and nonviolent resistance campaigns since 1900 as they could — compiling a data-set of 323 cases in total — in an attempt to reach a greater understanding of the comparative effectiveness among these different methods of struggle. After painstakingly collecting all of this information and crunching the numbers, they discovered — to even their own surprise — that nonviolent campaigns were nearly twice as effective as armed campaigns over the past century.Not only are Chenoweth and Stephan’s findings supported by extensive data, which are included in their book and a free online appendix, but the authors provide deeply nuanced analysis of why nonviolent struggle has proven to be so much more effective than violence. I recently caught up with Erica Chenoweth, who is an assistant professor at the Josef Korbel School of International Studies at the University of Denver, to get her thoughts on the nonviolent movements that have exploded since her book was published. In an email interview, she discussed some common mistakes made by activists, the ever-worsening crisis in Syria and tips that the Occupy movement might glean from the findings in her book. pure government propaganda and absolute garbage …………………No government fears peaceful protest , they beat it into submission just like they did Occupy Wall Street………..The fact these clowns do not realize the FSA is completely manufactured by Assad’s enemy’s and nothing more than mercenary force not revolutionaries proves they are nothing more than government propagandists. TED Talks are agenda driven and its not the agenda of education they claim . That is what she thought until she did the research! Maybe you should try it, get her book. There are multiple books that make the same points because that is what the evidence shows. When the police attacked Occupy Wall Street it was when occupy grew the fastest. The women pepper sprayed by Officer Bologna in NYC on the second weekend was one key incident. They were under arrest, not being violent, not threatening. When he pepper sprayed them you could hear another blue collar cop (Bologna was a white shirt) say “I can’t believe he pepper sprayed them.” Even to the police Bologna was outrageous. Now, if the women had been threatening violence or throwing apples, there would have been a different reaction. The blue collar would have said “thank God he pepper sprayed them.” The public would have thought the same thing. Their nonviolence made the movement grow because it exposed the violence of the government. If those women had taken your approach, occupy would never have grown. This has been seen repeatedly in movements. Aggressive, strategic nonviolence exposes the government’s violence and builds the movement while weakening the power structure. We have also seen the opposite. Even when protesters are mearly involved in property damage (that looks mindless to most people), the police are applauded for using violence. It has the reverse effect we want, it shrinks the movement and unifies people around the police. Our goal, if we want to succeed is to build a mass movement. That is what will threaten the power structure. Being a fringe group that commits violence against people or destroys property without any purpose will create an ineffective fringe movement. I am not a pacifist or against all property destruction. For example, breaking a lock to take over a building is property destruction that could be strategic. My view is we need to be very conscious about our actions. To achieve our goal of building a mass movement that can be effective strategic nonviolence works. We want to bring people to our side to build the movement, not frieghten them away; we want to cause fractures in the power structure, not unite them against us, e.g. divide the police as was occurring in the Bologna example above. We want the police to be the bad guys, not us! yeah more false equivalency………………where is OWS now? If OWS would have stood their ground and not drawn straws to see who went to jail they would still be a voice . Bottom line is no government fears peaceful protest , none . It is a trap ,one you have fallen into head first . if you study a bit of history you will find that freedom has always been paid for in blood . Now I do not advocate violence for the sake of violence but if you are not even willing to protect yourself nobody will believe you will protect them. I support non violent protest up to the point protestors are attacked at that point if you fail to defend yourselves you have lost the war . Police and military will happily beat down those that pose no threat , but the moment they face real risk they tend to reevaluate their positions and that is how you win them over , not by throwing your legs up in the air and taking the beating .